PDF Childhood Favorite pattern designed by Mickey Zimmer for Sweetwater Cotton Shoppe. We love Little Golden Books! The quirky little stories that have stole the hearts of young and old for decades. Everyone has a favorite! 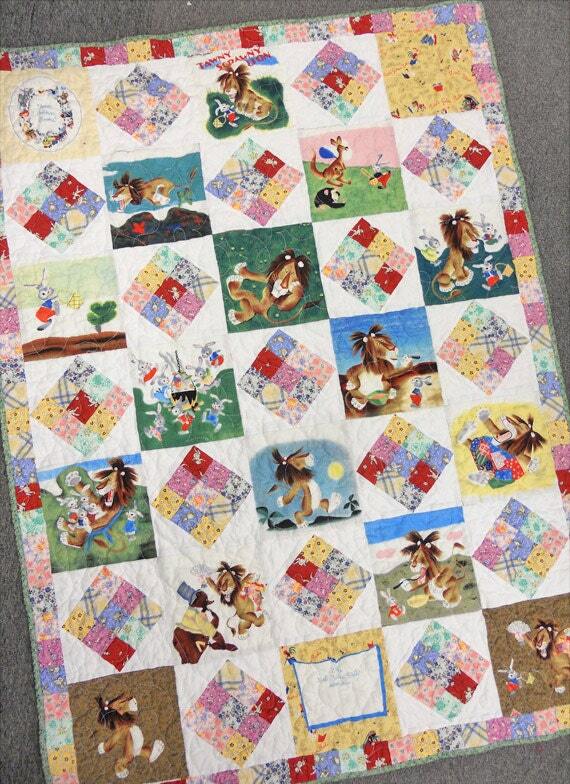 This project uses the Little Golden Book soft-book panels and turns them into the focal point of this throw/crib quilt. Paired with whimsical 30's prints these timeless tales of scrawny lions, shy kittens, and sweet tugboats evoke memories of childhood. Childhood Favorite measures 42 x 57 inches and features a Little Golden Book panel.